Ni hao and welcome to CraftBeerAsia’s China section. In short, we want to be EVERYTHING craft beer in China, all in English. please have a look, a visit, and a chat. thanks and continue the great work! Brick is spamming another site. The guy doesn’t produce anything – not a brewer – he just sells past dated bottles of imported brews. Hey Fellas, I started the Guangzhou Homebrew Association and we have events almost every month. Check out our website! do you have a wechat group with the Guangzhou Homebrew Association? Topshelf Asia is the importer for Brewdog and Tuatara craft into China. We are looking for suitable applicants for the positions of Operations Manager and Regoinal Sales Manager. 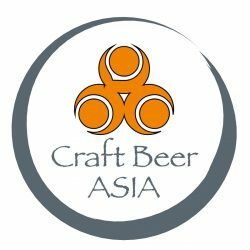 Can you send details to my email: rob.trent@craftbeerasia.com Can you import someone or is residency, citizenship a key factor? Check out http://www.Brewedinchina.com it’s a great site on top of the most up to date listings of craft beer in China.